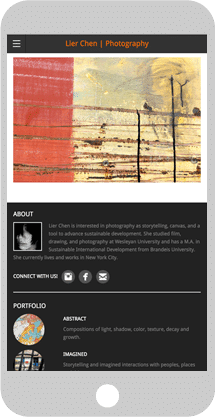 Lier Chen is a photographer based in New York City. 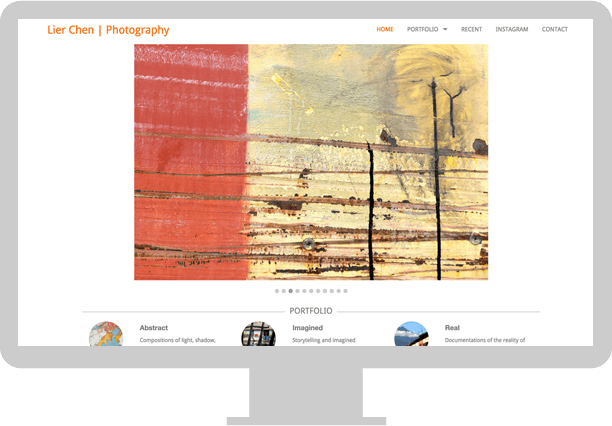 To showcase Lier's stunning photography, we decided on a clean, minimistic design where her photos could take the spotlight. 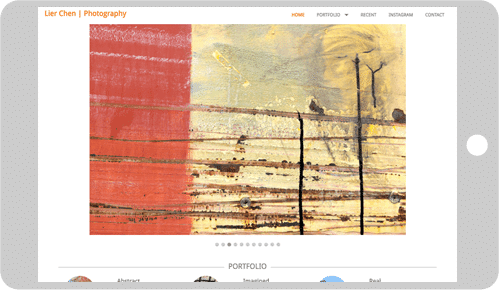 The site was redesigned to be responsive. For a look at previous designs of the website, check out the miscellaneous designs page. You can see the code for a custom Wordpress theme that I built based on this website on Github.